Entries are invited for the second phase of the Competition, in which architects of all nationalities are encouraged to present urban architectural design proposals for any of the three sites selected by the jury. A second international jury, on which the various institutions collaborating in this initiative will once again be represented, will assess the proposals, selecting for each site the entries that best fulfill the Competition’s criteria. The jury there will also include representatives of the authorities of the three municipalities to which the sites belong. Out of a possible total of 100 points, the Jury will weigh the above criteria in each work. The Richard H. Driehaus Competition is open to teams comprising at least one architect, associated or not with other professionals of this or other disciplines (architects, town planners, landscape architects, engineers, artists, etc.). The number of components of one team is limited to four. Associates are considered co-authors of the design and will appear as such in all publications and exhibitions. For the purposes of the contract, only associates in possession of the pertinent university qualification will be authorised to sign it. Assistants may appear in the team, known as collaborators, from the same or different disciplines. Collaborators, whether in possession of a qualification or not, are not considered authors of the design, but it will be understood that they have contributed to it. Each team will name a “team representative” from among their associates as the sole interlocutor during the competition. All communication shall be made through a single electronic mail address that may not be modified during the competition. The team representative shall be an architect, town planner or landscape architect, or have such status. Registration shall be through this web site. The submission of proposals implies that the participants unconditionally accept all the contents of these Terms and Conditions. Interested parties must register from the date on which the competition is published on the competition web site, where they can fill out the entry form that will ask them for their contact details and to accept a liability agreement that involves all the members of the team. Once the registration process has been completed, teams will receive a confirmation e-mail with a CODE that will identify their proposal and which will guarantee the anonymity of the proposals submitted. They will also receive an ACCESS PASSWORD for the platform, where they can find further information about the sites to be used in this competition. Only one bid may be submitted for each entry registered. Those interested in participating must send their proposals for any of the locations by March 20th, 2019, at 2:00pm (Madrid time). Information may be provided in English or in Spanish, except for the promotional documentation referred to in section 13.3.3 of these terms and conditions, which will be submitted in both languages. Technical documentation sufficiently developed to be able to properly assess it in accordance with the criteria listed above. The minimum level required will be the level of Draft Design. This section will comprise a maximum of ten pages. Description of the design proposal of up to two pages in length. Basic estimation of the budget, measures and basic approximate time line for possible implementation. This section will have a maximum of four pages. 3. – Promotional documentation, which will include a description of the design proposal of up to 300 words in Word format and up to 8 representative images (jpg or tiff, 300 dpi) of it. The description will be presented both in English and Spanish. Both the dossier and the promotional documentation shall also bear the team identification code. 4. – the documents sent to raise the curtain of anonymity on the members of the team and to verify the validity of the proposals must be uploaded to the Competition web site in PDF format at the time of registration. A. In the case of the team: acceptance of the LIABILITY STATEMENT AND THE TERMS AND CONDITIONS OF THE COMPETITION through the registration process itself on the Competition web site. A liabililty statement according to the European single procurement document (ESPD) that must be signed by the team representative and will be in accordance with article 140.1. a) of the LCSP. If applicable, the commitment to set up a joint venture (JV), which will indicate the names and circumstances of those setting it up and the share held by each company (article 69.3 LCSP). This document shall be signed by the representatives of each of the companies comprising the joint venture, pursuant to Appendix III. Foreign companies shall also submit a declaration that they will submit to the jurisdiction of the Spanish Courts and Tribunals for all and any kind of incidents that could arise from the contract, directly or indirectly, renouncing any foreign jurisdictional rights the tenderer may be entitled to. The final composition of the team will only take into consideration the people previously registered who have provided the documents referred to in this section. Once the deadline for submitting proposals has been met, the material received will be prepared for the examination of the Jury, by people who have nothing to do with it. This material will not be considered valid if it contains any reference to its author over and above the CODE provided to the team at the time of their registration. The experts and jury members will only be aware of anonymous proposals. Only the name of the site and the CODE of the team should appear on each document submitted. Once the Competition is decided, the jury will raise the curtain of anonymity over the prize-winning designs. Once these are known, the design code will be automatically matched to the composition of the team through the database of the Competition web site. By the mere fact of submitting their proposals, competitors undertake not to divulge such designs, either at their own initiative or through any members of the team, before the Jury has handed down its decision, in order to guarantee anonymity and to preserve the objectivity of the competition. Any breach of this commitment will immediately lead to the disqualification of the proposal concerned. Competitors may not maintain any communications pertaining to the competition with members of the Jury. Any proposal that violates the content of this condition will be excluded. 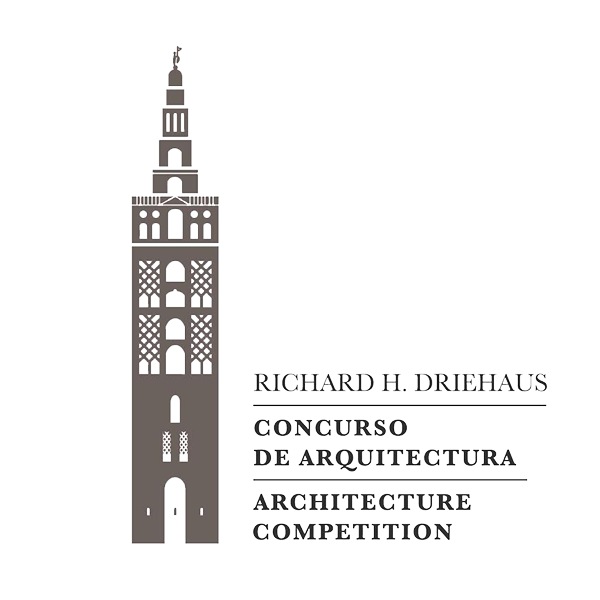 The full list of the prize-winning teams in the Richard H. Driehaus Competition (both first prizes and honourable mentions) will be published on the Competition web site (www.driehauscompetiton.com), as well as on the Public Sector Procurement Platform (www.contrataciondelestado.es). The authors of the proposals winning the first prize for each lot will receive a sum equivalent to €12,000 (including VAT). The jury may distinguish up to three proposals per lot with an honourable mention for designs that do not completely cover the requisites of the site, despite complying with the objectives. The authors of these proposals will receive an amount equivalent to €2,000 (including VAT). Any prize-winning competitor who has provided their consent by filling in Appendix II will transfer their rights to exploit, reproduce, exhibit and publish the proposals submitted to the competition to the Ministry of Public Works and Transport and to INTBAU, pursuant to the intellectual property legislation for both domestic and international use and without any time limit or limit on media, including any variations in details or programme that may be necessary depending on the needs and objectives that motivate this Competition. The authors will conserve the intellectual property of the works submitted –authorship, originality of the work and the full right to exercise the rights indicated in these Terms and Conditions – and none of them, not even the prize-winning works, may be used for purposes other than those set in said Terms and Conditions, nor as material for other, different architects or engineers from the respective authors to draw up other designs. Additional provision twenty-five of the LCSP and concordant provisions shall be applicable in matters of the protection of personal data. The Ministry of Public Works and Transport and INTBAU may conduct any dissemination they consider fit by means of exhibitions and publications of all or part of the works submitted to the Competition. If they do, they shall make reference to the origin and authorship of the design, in the case of prize-winning designs and any non-prize-winning designs that have marked this preference during the registration process, and identifying it only with its pertinent code, for the proposals of those teams that have indicated their preference to remain anonymous in the event of not winning any prize during the registration process. In any event, participants will have had to fill in Appendix II (“Express declaration of providing their consent for the dissemination of the works and acceptance of the requirements of the Regulations (EU) 2016/679 of the European Parliament and the Council of the 27 th of April 2016, concerning the protection of physical individuals” repealing Directive 95/46/CE (General data protection regulation). The Ministry of Public Works and Transport and INTBAU may also publish all the works submitted on a digital or paper support, or even over the Internet under the same conditions as those established for the exhibition.